Brunch – a playful mixture to refer for breakfast and lunch. Or basically something in between. Perfect for the lazy sleepy heads, or for breakfast lovers. Or should I say lunch lovers? Well, just combine both types of food and hours, and you will have the best meal of the day. Iceland has some amazing spots for brunch and here are our 5 top favorites. You will find Café Paris in the heart of Reykjavík, in the same corner it has been since 1993. A combination of French-style brunch with a dash of American essence characterizes this famous place. A few years ago, the new younger managers decided to give the brand a fresher look, and with the brand, changes in the food and drinks came along too. Imagine if it was good before, now it’s just perfect! Even with a more modern look in terms of decoration, you can still breath the history in it. Its location makes it a strategic place for tourists and locals to visit Café Paris all-day long, and the good thing is that brunch goes until 4 pm every day. Oh yes, the food! I was forgetting about that. First, coffee of course. Enjoy a classic espresso or a cappuccino topped with whipped cream. We recommend you to try the chicken waffles. This is the best of the menu! If you prefer something sweeter, go for the fluffy American pancakes. They are full of syrup and fresh fruits. And if you just missed Brunch time, no worries! This place serves one of the best burgers in town. I love the simplicity of this place. It has a kind of hipster-decoration; all combination of colored and wooden chairs, warm-light lamps and a small flowery touch. At Bergsson Mathús you can enjoy brunch every day. On weekdays from 7 until 11 am, and on the weekends they serve it all day long. One of the things everyone that goes to Bergsson Mathús talks about it the sourdough toast that is homemade. If you like to try a little bit of everything, we suggest the Bergsson Breakfast. Yogurt, muesli and fruit, eggs, ham, cheese, bread, juice, and veggies. Or if you want something more strong go for the Bergsson Brunch, it includes the same as the breakfast but with potatoes and bacon. This is just a wow place! The way they compose each plate is pure creativity, and you can see that right away with the names on the menu. Have some green eggs and ham, or eggs florentine alla Coocoo’s. They are delicious! You also have vegan options and of course, the special drinks. Like always, I would go for one mimosa. Or perhaps three of them! One of the things I really like about The Coocoo’s Nest is that it is a family business. I’m not saying this is better or worse than others, but it is just the essence of a family portrayed in a place such as this one. You can feel the warmth of the people, and it’s just like home. And what about the space? I really enjoy spaces with a purpose, and they definitely know how to play with this. The use of different types of wood in color and texture, the plants and flowers, the framed pictures and customer’s phrases, and the picnic-like patio are just amazing touches that make this a unique place. Definitely, a place to go when in Reyjkavík. 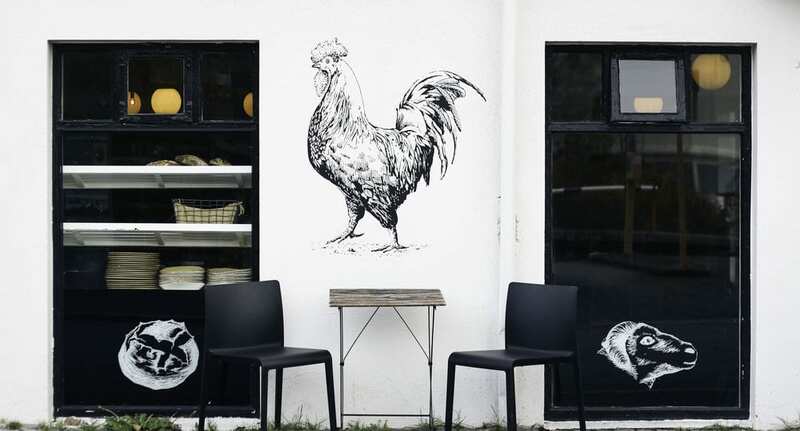 Coffeehouses in Iceland have something in common when it comes to being rustic. If you understand what I mean, is that places like Kaffihús Vesturbæjar exhale nature. From the materials used in the decoration to the fresh ingredients used in food, Kaffihús is the perfect place to relax with a nice and healthy brunch. It is located in Vesturbær neighborhood on the west side of the city, and it is open from 8 in the morning until 11 pm. You can have a special brunch menu from 11 until 3pm. Omelets, pancakes, delicious fresh croissants, salmon and avo toasts. It is difficult to suggest something because everything is good. You should go and try it for yourself. And then tell us how it went. Last but not least, is Kaffivagninn, one of the oldest restaurants in Reyjavík located in the Old Harbour of the city. Founded in 1935, its name means “The Coffee Wagon”, because back in the day it started as a small restaurant in a wagon. Brunch is only available on weekends from 11 until 16:00. But they are opened until 21:00h. What best than having brunch in front of the old harbour, don’t you think so? We love it! The nice thing about the food here is that is just like your mom’s. How about trying some sweet french toasts with strawberries? Or a warm bowl of the deluxe oatmeal porridge? Maybe just go all in with the Brönsplatt, amazing fulfilling plate of eggs, veggies, bacon, potatoes, and fruits. Don’t miss this excellent place. Because what is better than brunch with a view? Iceland’s cuisine is growing every day and the offer of unique places is unbelievable. Local people really put their heart into their businesses and you can see that in every single place. 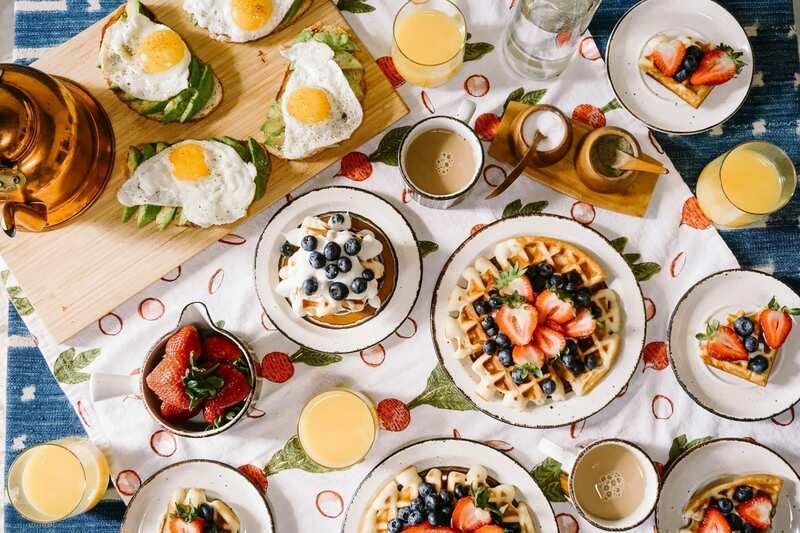 Try these brunch places and tell us how you like them. *All pictures used in this blog are the property of each brand’s Instagram account.